Earning-My-Cape: Check me out at My Merry Messy Life! Check me out at My Merry Messy Life! by Sara at My Merry Messy Life yet? This is a great series where moms share about their homeschooling experiences. Well, today, Sara is interviewing yours truly! I encourage you to go take a peek and read through the other interviews in the series. 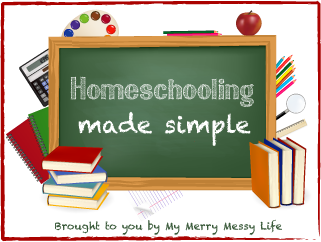 These other homeschooling mamas are awesome!